In her novel "The Nine Tailors", Dorothy L Sayers wrote that bellringing was "the only loud noise which is made to the glory of God". We ring the bells to celebrate, to mourn, to call to worship and to praise God. We also ring to practise our skill: bell ringing is a deeply traditional and almost uniquely English art and there is always something new to learn. 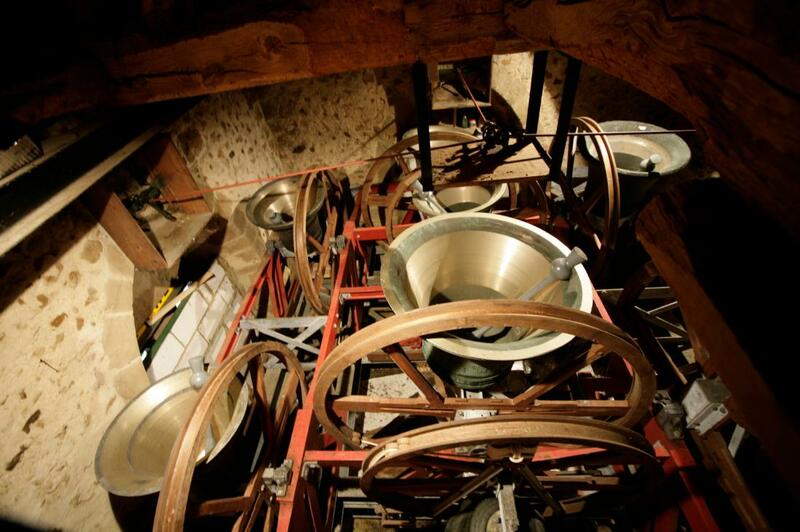 Bellringing is a very special way of serving God in our church and village. It also offers physical and mental exercise, fellowship, teamwork, and a lot of fun. Target group: If you are a bellringer and are visiting Witley, do please join us on a Sunday or Thursday. If you are interested in learning to ring and you are at least 11 years old, then please contact us.